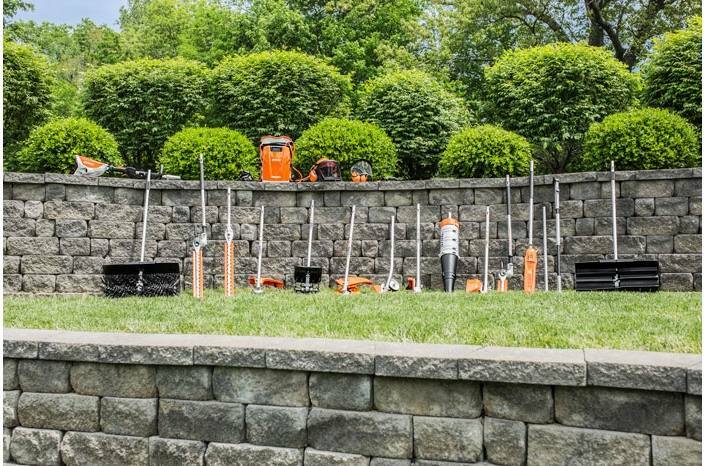 The largest selection of yard care solutions in the world, from the battery-powered STIHL KMA 130 R KombiSystem. Note: Battery (AP 300), charger (AL 101), & battery belt are included. Attachments are not included. The KMA 130 R battery-powered KombiMotor has the potential to make waves in the landscaping industry with its ability to streamline operations. 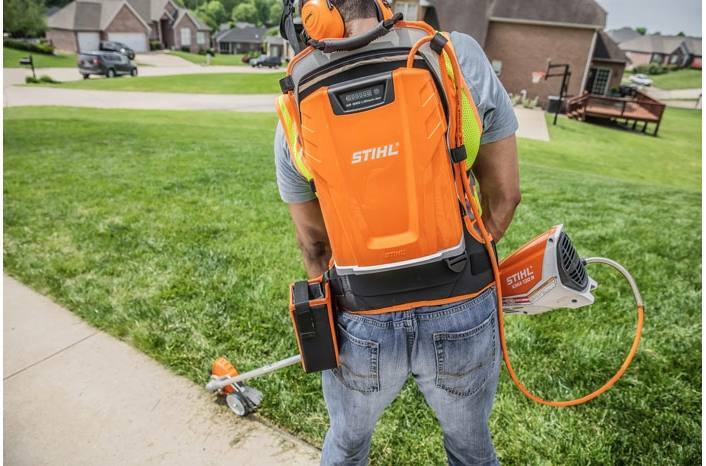 By powering up to 13 separate tools with one STIHL powerhead, the KMA 130 R saves on storage space and maintenance of multiple units. 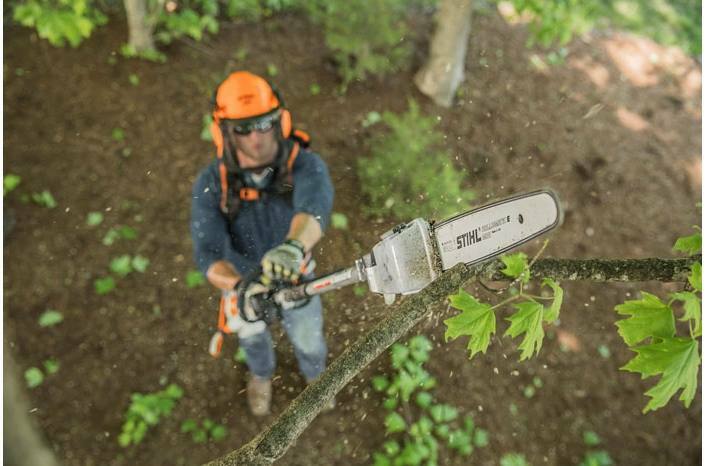 Part of the AP Series of STIHL Battery Products the KMA 130 R gives professionals the ability to trim, prune, edge, clean, cultivate, and more with optional attachments - all without gas, fumes or exhaust emissions. The external battery source shifts the battery weight to the user's back or hips, ensuring a lightweight, comfortable and balanced position, regardless of the attachment being used. While its quiet operation enables this unit the flexibility to be used during extended hours, increasing income potential for those who make their living in the outdoors, the commercial-grade, brushless electric motor offers optimal performance and durability for a virtually maintenance-free service life. Instant starts allow quick movement from one task to another, and a variable speed throttle trigger has three performance levels, allowing the user to select the operation speed that's best for the job at hand, conserving battery energy - and providing maximum run times. The unabated versatility of the KMA 130 R is sure to get a groundswell of support from landscapers and groundskeepers alike. 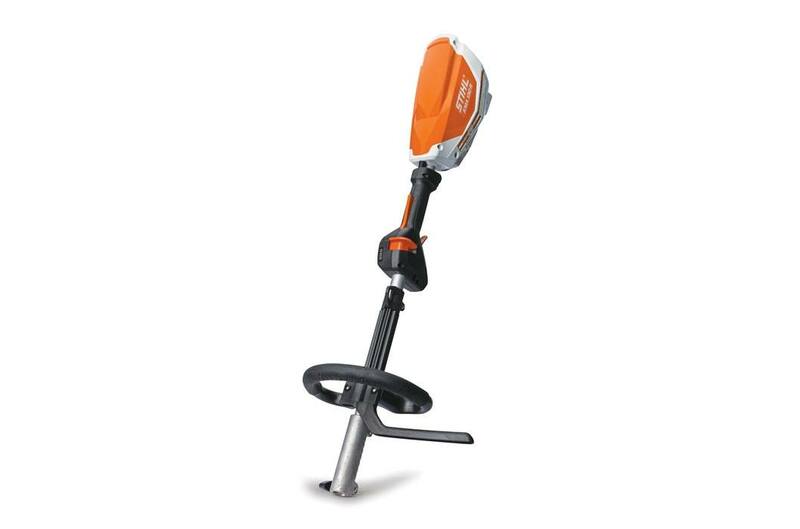 Socket: To transfer power, the socket and the tool is connected to the STIHL AP or AR batteries using the connecting cable. This means that the battery can be conveniently worn on the body. Loop Handle (R): The loop handle (R) is an adjustable rounded handle mounted on a shaft for support and control. The handle is designed to help control the machine in different positions, ideal for reaching tough spots. The handle is large enough to accommodate a gloved hand comfortably.